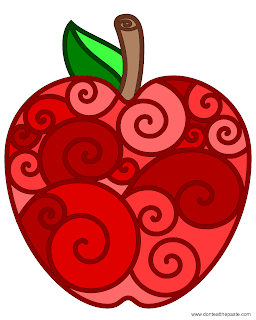 Now that all the kids are going back to school, I wanted to draw and apple to color. I'll be posting an embroidery pattern based off this design later! Apples for back to school, or for Once Upon a Time fans. I *love* modern fairy tales, and I'm really looking forward to the next season. 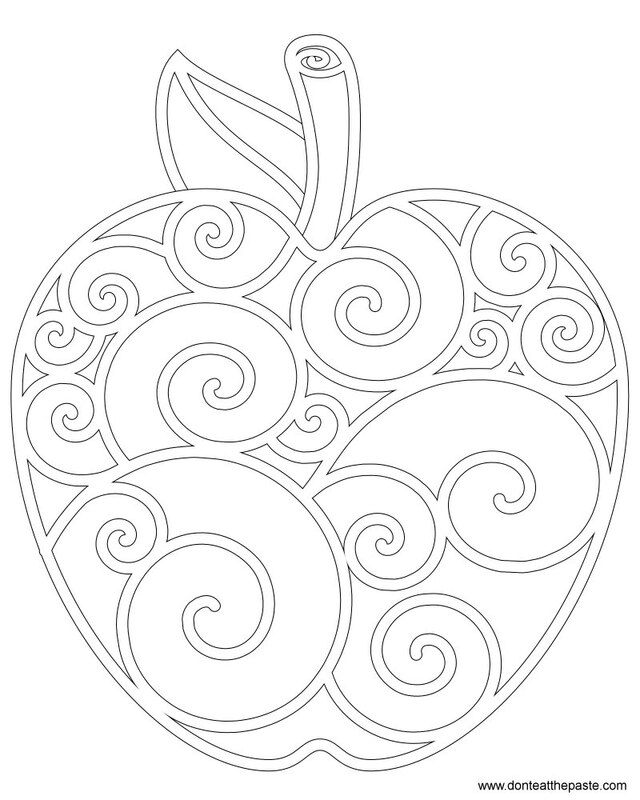 My original idea involved knotwork, it didn't work out the way I wanted. In other news, major windstorms knocked out power all over Anchorage yesterday. In my neighborhood, the power was out for 14 hours. Your apple is lovely! 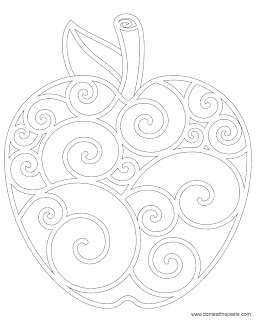 It has a very Maori feel about it with its koru-like scrolls. Thanks!